Build big, strong shoulders like boulders with these three classic shoulder exercises for mass. The shoulders, or technically speaking, the deltoid muscles surround the most moveable joint in the body. With a range of 360 degrees the shoulder joint is heavily involved in many upper body movements. Bringing out the shape and size of the shoulders is one of the best ways to achieve the ultimate V shaped torso. The following shoulder workout for mass is designed by expert trainer Paul Haslam to turn your shoulders into boulders. 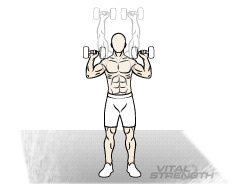 Begin with the Dumb Bell Shoulder Press with 3-4 working sets (after warm up) of 6-8 reps. The DB press is a compound movement that allows heavy loads to be shifted with the assistance of the triceps muscles, targeting the anterior (front) and medial (middle) deltoids. By performing 6-8 reps we target the large and powerful fibres called fast twitch. These fibres grow the best in response to heavy training. Next exercise is the Cable Lateral Raise 3-4 sets of 10-12 reps, with 10 partials reps at the end of each set. 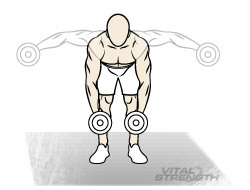 Partial reps are small (about one quarter range) movements executed from the beginning range of the exercise. 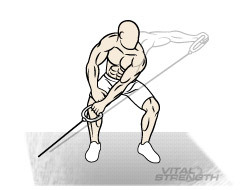 The constant tension provided by this technique will leave a nice burning sensation deep in your medial deltoids. Finish the routine with Bent Dumb Bell Laterals 3-4 sets of 10-12 reps, targeting the posterior (rear) deltoids. To add some extra stimulation by increasing the time under tension, begin this exercise with a 10 second hold at the top of the movement, then follow with 10-12 reps.
Add these three classic shoulder exercises for mass into your shoulder workout routine to blast your delts, building you shoulders like boulders. After completing this heavy shoulder workout ensure you fuel your muscles with supplements designed for Muscle Mass and Size. 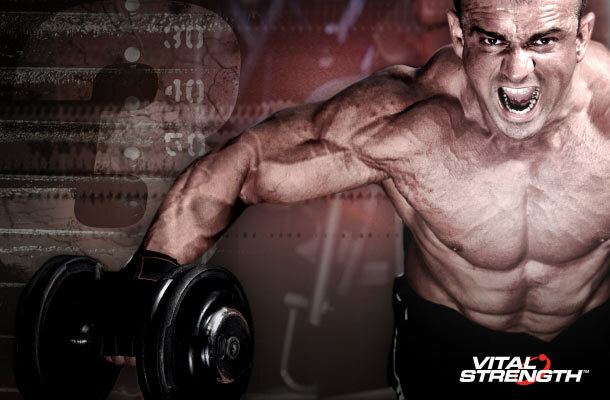 Vitalstrength Pro-Muscle is a premium muscle building protein powder chosen by bodybuilders, fitness models, footballers and men training hard at the gym.